After winning the BAFTA just this past Sunday, the Supporting Actor Oscar race has a hot new front-runner. Dev Patel. The Indian-British actor jumped to the head of the line by winning that award over favored Mahershala Ali. And I’m predicting that he could do this again at the Oscars where he is nominated against Ali in that category that I can now say is hotly contested. Why? 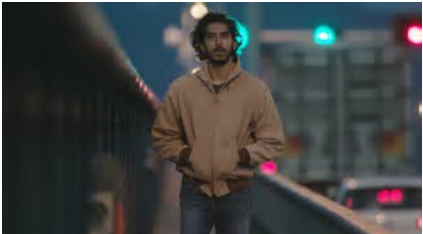 Well, I just caught up with “Lion” and I can tell you it’s a glorious movie. I cried at the end. And so was the rest of the audience. “Lion” also has the Oscar Whisperer and Major Magician Harvey Weinstein behind it. In fact, it’s the Weinstein’s only pony in the race this year and you can never underestimate Harvey’s influence at the Oscars. ESPECIALLY IN THE SUPPORTING CATEGORY. AMPAS voters know Harvey and love/hate/respect him, but when he has something worthwhile there’s no stopping him, and “Lion” is all that. It’s a wonderful movie. AND it’s got Nicole Kidman giving one of the greatest performances of her career, as the Australian mother who adopts Patel, called “Saroo” which means Lion, we find out in the last title of the picture. Kidman, in some ways, is better than she’s ever been in this movie. But though also a nominee, she won’t win in her category. That award is going to Viola Davis in “Fences.” But Patel is also better than he’s ever been, and his performance reminds us of all the great turns he’s been giving in the past decade since “Slumdog Millionaire”, which he wasn’t even nominated for. So the Academy has some ‘splaining to do. 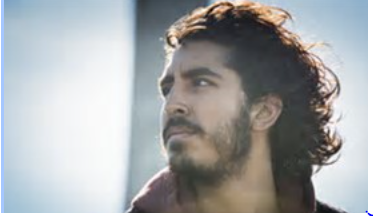 It owes him, and “Lion” is a majestical accomplished film, garnering six Oscar nominations, including Best Adapted Screenplay which it also just won at the BAFTAs. And Harvey’s a whiz at getting Supp. Oscars, for his actors, who are really leads. Think Renee Zellweger in “Cold Mountain”, think Catherine Zeta-Jones in “Chicago.” And the list goes on and on.
. And also I’ve heard with AMPAS voters, who think it is a more accomplished movie than “Hidden Figures” or “La La Land” and Best Supporting Actor is the category where they can most likely show “Lion” their love. And the dirty little secret is that the Academy is just as homophobic as it always was and they just don’t like “Moonlight”, Ali’s vehicle all that much. It went home empty at the BAFTAs and may do so again at the Oscars. “OVER-RATED” is the word I’ve most overheard. And Ali, as fine an actor, as he is, is just breaking into recognition this year with this tiny film and this tiny part, whereas Patel has been raking in the chips in films like “Slumdog” and also the lucrative “Best Exotic Marigold Hotel” #1 AND 2. So his bona fides check out. And Ali is only in one-third of his movie. You wish he was there more. You hope his character comes back, but he never does. Whereas Patel as Saroo has half a picture to engage you. And he does. It also received a DGA nomination for its’ director and won ANOTHER BAFTA for its’ screenwriter. And winning the BAFTA can be a sure key to snagging a surprise win at the Oscars. Look at Marion Cotillard, Tilda Swinton and just last year Mark Rylance for “Bridge of Spies.” “Lion” is surging at the box-office and “Moonlight” is not. I rest my case.